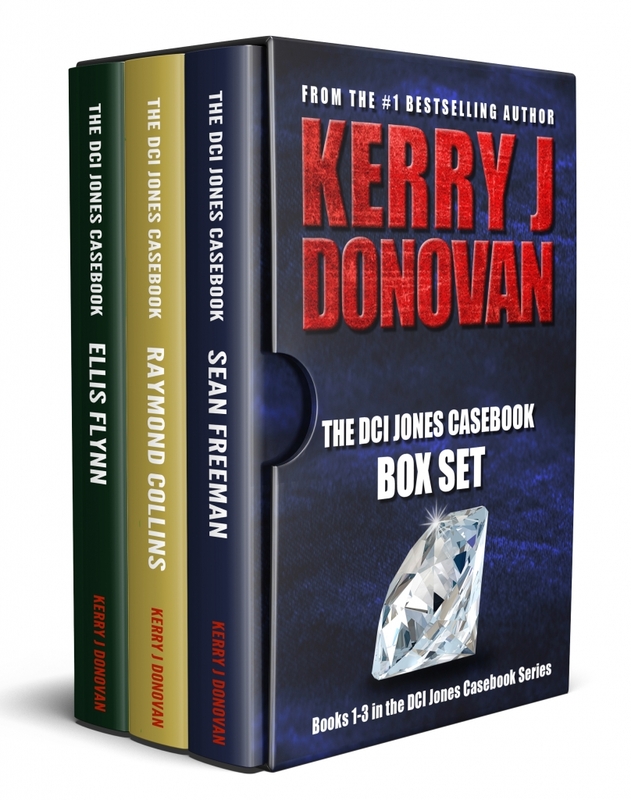 The first three DCI Jones Casebooks in one neat package. A genius jewel thief targets a Birmingham museum and DCI David Jones is on the case. A murder in a city park leads to a chase through the streets of Birmingham. Ellis Flynn: In his most heartbreaking case, David Jones searches for a missing teenage girl. If you read a lot as I do, you get jaded after awhile and tire of similar plots from different authors and long for something to really grab your attention and ruin your social life because you can't stop reading. For the first time in years, that very thing happened when I bought "The DCI Jones Casebook Box Set". I couldn't put the first book down and read it in 2 days, thinking I had figured out the ending, only to be completely wrong. The storyline is entertaining, intriguing, engaging, fast-paced, and filled with details of police procedure and incredible character development. If I were a film producer, I would option the first book and make a blockbuster movie on the cheap (the story would sell it without Special Effects or expensive and elaborate sets). By this time, Donovan had me by the throat in a stranglehold and I raced through the next books, forgoing TV, Movies and "gasp", social events. Each book is stand alone and need not be read in order, though they are tied together by recurring characters that you will feel like you know. I just purchase the last book and I'll spend a wonderful weekend reading it. Great set of books. I read them almost non stop and then ordered the fourth book. Good writing style, interesting plots and entertaining characters. I enjoy good police investigation and this didn't disappoint. The characters come alive and following them in their lives and surrounding terrain was most vivid. If you like police procedurals this is definitely the box set for you. I wish there was a way to give a higher than 5 star rating; it's that good. The set covers the gambit from a serious jewel thief to a kidnapper. In Sean Freeman, the story of the jewel thief, I just knew I had everything figured out, except how things were going to come to a satisfactory conclusion. I was wrong. Mr Donovan threw me more curves than I ever expected. The action was spot on and kept me on my toes. In Raymond Collins, a murderer, my heart stayed in my throat for almost the entire story. It is such a commentary on the state of mental health issues in the world today. It almost made me want to take all those I love and lock them behind closed doors in order to keep them safe. Then comes the most heart-stopping, twisted story of the three, Ellis Flynn, the kidnapper. This story had me seriously considering increasing my blood pressure medication due to the tension. It has it all: smiles, a chuckle, tears, anger, fear and relief. There is continuity and flow between the books, which makes the reader feel they have read one long, enjoyable saga, instead of three separate books. But be warned; when you get to Ellis Flynn, try not to have anything else to do in your life (like sleep or eat) because you are not going to want to stop until you finish. The hallmark of a true winner in my estimation.